After a long night helping Emily adjust to the time change, we had a late start to the day. We grabbed a late morning espresso and small pastries for breakfast. We also had some fruit from a local market. This seems to be the Italian way, so I imagine most breakfasts will be this way for us. We then kept ourselves busy wandering around and getting settled in our apartment. Come late afternoon, we stopped in at a Trattoria for a late lunch/early dinner. We started with a mixed antipasto platter called Nandina. I really enjoy starting a meal this way. 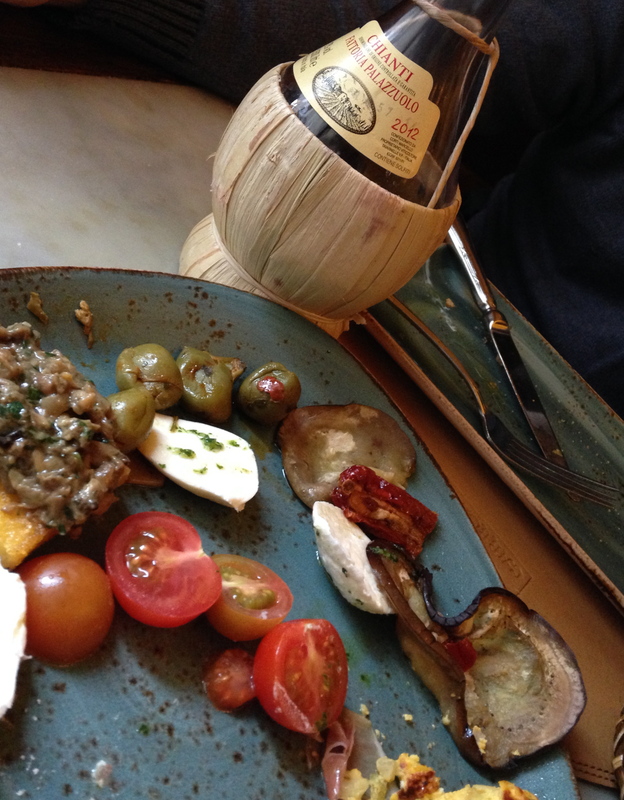 We noshed on an assortment of meat, cheese, olives, tomatoes, eggplant, frittata and crostini. Being in the Chianti region of Italy, we enjoyed a small bottle of Chianti with our meal. The traditional bottle of Chianti has a wider bottom that sits in a basket. Next we split gnocchi sorrentina (gnocchi in a tomato, basil and cheese sauce). 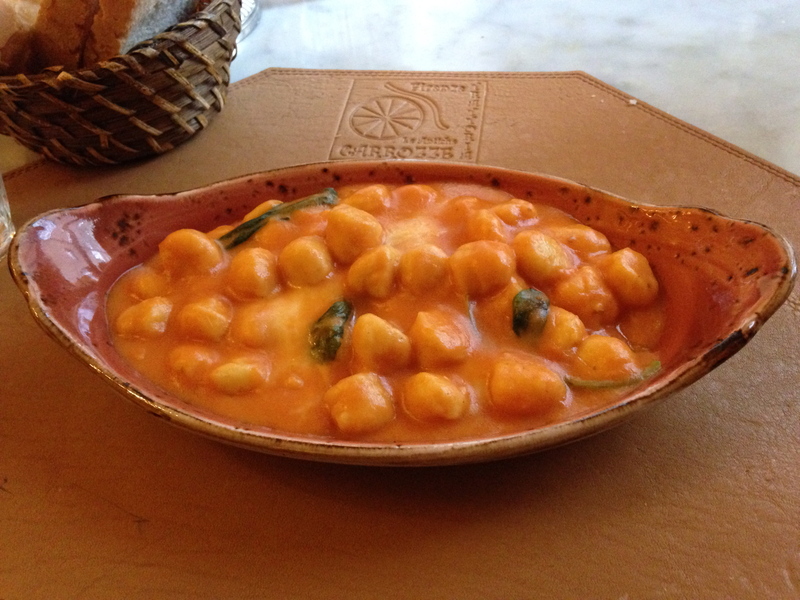 The gnocchi were incredibly light and the sauce was rich and delicious. And the tomato flavor was so fresh. Lastly, we split the tagliata di manzo con rucola e grana (steak, lettuce salad, grana padano cheese, all drizzled with balsamic vinegar). The steak was hearty, the arugula was extremely fresh and flavorful and the salty bite of the cheese and the sweetness of the balsamic vinegar brought the whole dish together. This was an excellent meal! I want to make that Tagliata Manzo tonight!